For Managed projects, this panel lets you control the C/C++ source code indexer. Certain features of the IDE rely on this information. 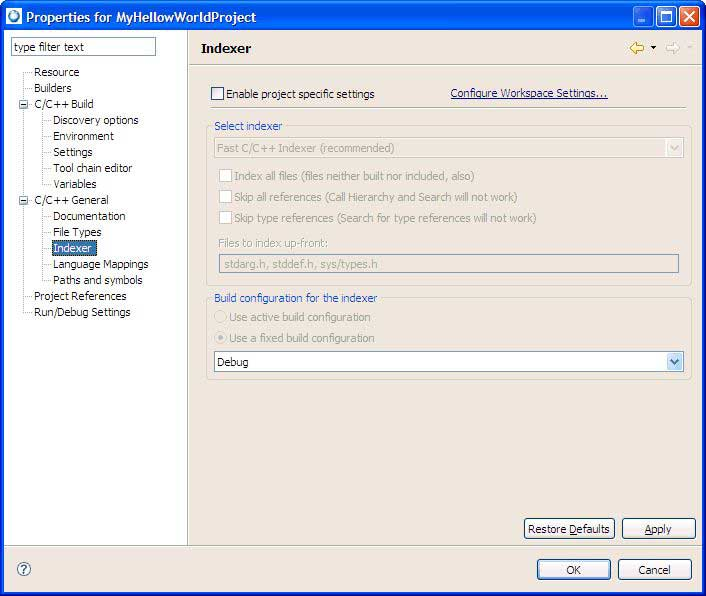 Enables specific index settings for the selected project; otherwise, common settings (those defined in Preferences) are applied and all controls below are disabled. Specifies the indexer to use for this project. The option No Indexer disables indexing. Note that every indexer may have its own set of options. Because indexing takes a lot of time, using the active configuration is not recommended because a reindex operation occurs after each active configuration change; the index source comes from the specified configuration or from the active one.